McGraw-Hill Education / Medical, 9780071624428, 1808pp. 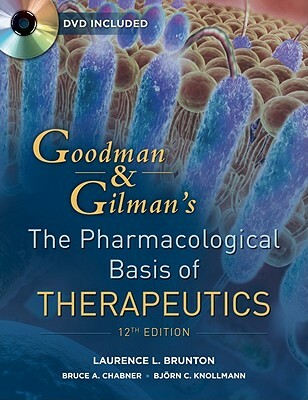 The most universally respected and read medical text in all of pharmacology, Goodman & Gilman's The Pharmacological Basis of Therapeutics represents the pinnacle of authority and accuracy in describing the actions and uses of therapeutic agents in relation to physiology and pathophysiology. Goodman & Gilman's careful balance of basic science and clinical application has guided thousands of practitioners and students to a clear understanding of the drugs essential to preventing, diagnosing, and treating disease.